You'll find the innovations, expertise, ideas, products, peers and professional development you need to help your business thrive. Much more than a market place, Congress hosts a rich conference program that imparts a wealth of knowledge to enhance your business acumen. 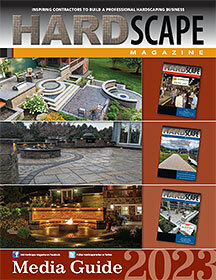 Register for Hardscape North America 2018 at a 50% discount complements of Hardscape Magazine. Offer good now through the October 14. MAHTS® is coming to the Atlantic City Convention Center in February 2015. 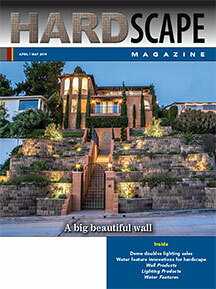 Presented by EP Henry, MAHTS is the first and longest-running hardscape educational forum and trade show in North America. 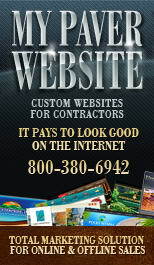 MAHTS will include a unique 2-day indoor arena build out where you can watch projects progress from design-to-completion. The show's “Tool Playpen” allows attendees to test drive new tools and equipment. Hands-on construction classes are also back for 2015. MAHTS offers more than 35 classes, opportunities to win prizes, networking cocktail receptions and Continuing Education Credits. Great hotel rates negotiated for MAHTS attendees only. Seminars Feb. 16-17, 2015. Trade show Feb. 17-18, 2015. To register online, visit MAHTS.com. 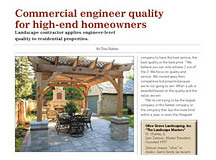 “The [APIC] program shows your customers that you are committed to best practices and proves you are dedicated to providing superior customer service and craftsmanship,” said Gary Stowe, Stowe Contracting, Inc. Think you're good? Let's see you prove it! The first HNA Installer Championship lets you pit your skills, dedication and passion against teams from the United States, Canada and Mexico. Up to 12 teams of 2 installers each will be tested in a race against the clock and other top installers. 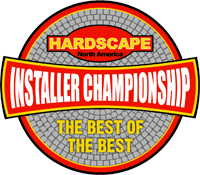 Teams compete for a $1,000 top prize, the HNA Installer Championship Cup of the Year, bragging rights, free tools and tons of free PR including recognition on the HNA and ICPI websites and in Hardscape Magazine. Sales of newly built, single-family homes rose 15.6% to a seasonally adjusted annual rate of 437,000 units in January, according to newly released figures from HUD and the U.S. Census Bureau. Amidst this quickened sales pace - the fastest since July of 2008 - the months' supply of new homes for sale fell to its lowest level in nearly 8 years. "The surge in demand for new homes this January is an excellent sign that the housing recovery is gaining steam and helping put more people back to work," said Rick Judson, chairman of the National Association of Home Builders (NAHB) and a home builder from Charlotte, N.C.
Show planners have already announced October 23 as the date for the 2013 Dealer Day. The first-ever Dealer Day, Wednesday, October 24, helped stimulate a 10% increase in the number of dealers and retailers attending the show, and a 48% increase in distributors. PLANET reports 20% attendance increase at their conference for the greatest number of participants since pre-recession 2007. HNA registrations were up 43%. Attendance at 4th Street Live! entertainment including rock band "Kansas" exceeded 7,000. After months of discussion, Congress passed and the President signed, the first new transportation construction bill in years, beating a June 30, 2012 deadline. This law is the first ever to include permeable pavement provisions. These provisions add concerns such as storm water runoff and flood control to U.S. transportation policy. They task the Secretary of Transportation to take advantage of the benefits of permeable pavements as a solution to those concerns. The Multifamily Production Index (MPI), released by the National Association of Home Builders (NAHB) September 6, 2012, improved for the 8th consecutive quarter with an index level of 54. It is the highest reading since the second quarter of 2005. The MPI, which measures builder and developer sentiment about current conditions in the apartment and condominium market on a scale of 0 to 100, rose from 51 in the first quarter to 54 in the second quarter. Sales of newly built, single-family homes rose 3.6 percent to a seasonally adjusted annual rate of 372,000 units in July from an upwardly revised pace in the previous month, according to figures released by HUD and the U.S. Census Bureau August 23, 2012. "Sales of new homes in July returned to the same solid pace they set in May, which was the fastest sales rate we'd seen in more than two years," said Barry Rutenberg, chairman of the National Association of Home Builders (NAHB).